The We Rock The Spectrum Kid’s Gym programs and playtimes offer huge benefits to all family members. They specialize in helping kids with special needs, but offer an all inclusive environment for kids of every ability level to come and learn, play and develop the skills they need. Their kids gyms are full of great opportunities for structured growth through their many classes and programs that are offered. They also offer open play time for parents to take advantage of. 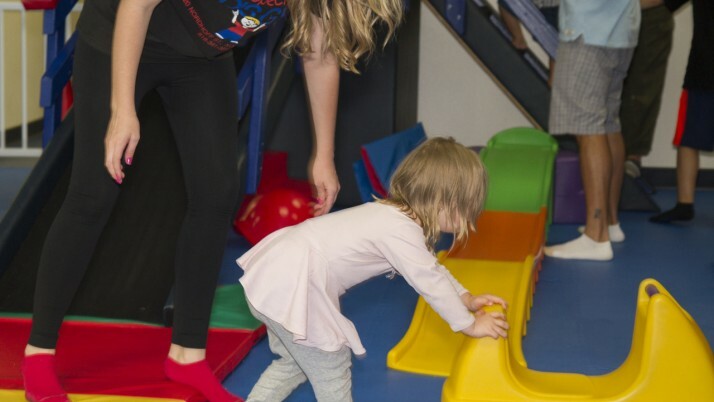 The open play time is a great opportunity for parents to play with their children and watch them grow and develop right before their eyes while having a lot of fun. This is a lot of fun for all kids and family members letting kids grow and become stronger in all aspects of their development.